This is second year The Factory Advertising has managed the Website for the Lehigh Valley Auto Show. This year, the client wanted to build on what we had created in 2014. We reworked the design to showcase this year’s theme, and we added pages highlighting GLVADA philanthropy, car safety, and child automotive safety. This site is fully responsive, offers online ticketing, and features a calendar to highlight all of the excitement that the Auto Show has to offer. 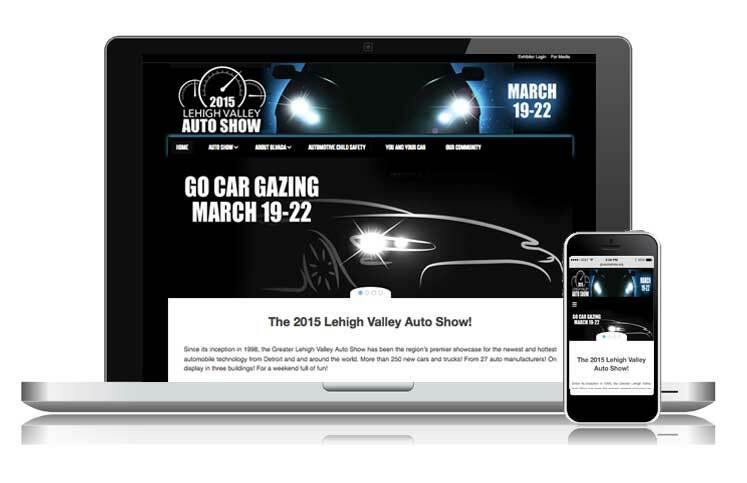 Visit the Lehigh Valley Auto Show to fully explore the site!